Since 2006 the POLPORA manufactory of Zielona Góra issues exclusively mechanical watches. During the process of production we reach only for the most verified methods – homegrown craftsmen and Swiss precision in the form of mechanical movements, both automatic and manual-wind. 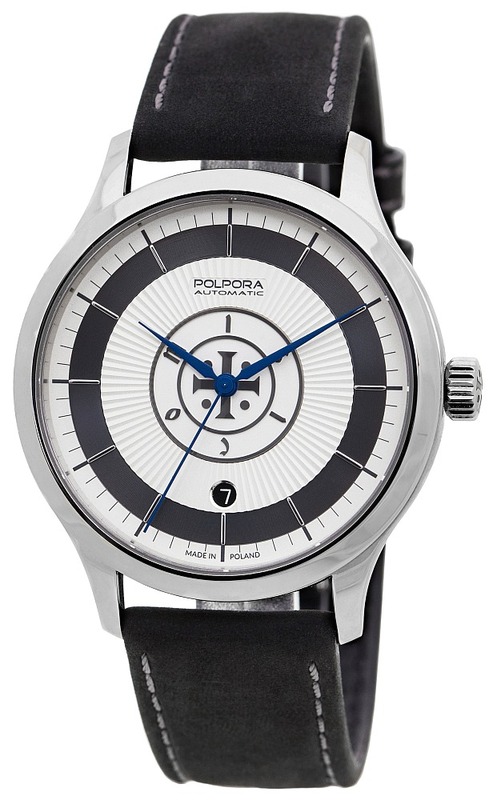 POLPORA watches are unique even in our country. 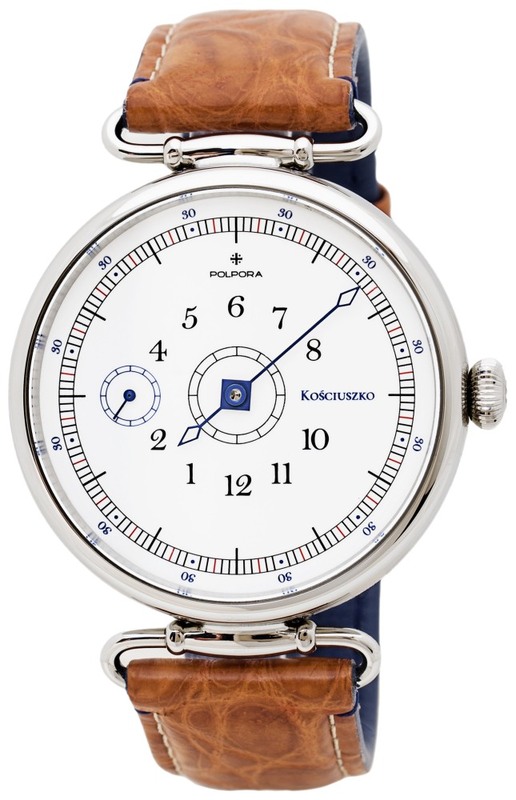 The POLPORA manufactory is one of the few Polish manufactories that assemble their mechanical watches wholly in Poland using only the top-notch components that come from verified, traditional producers. The current collection consists of four exceptional, limited-edition watches. Our offer features simultaneously watches that present the modern elegance that is already known from our previous products as well as two new series that relate to the Polish cultural legacy. Aqua Duo is a return to the well-known Elementum collection; the Legacy and Muse collections are relating to the Polish history and art. In the year 2017 to honor General Thaddeus Kosciuszko and the 200th anniversary of his death we created a dedicated watch that is a great comeback to the old and classic wristwatches. The keys to understand the idea that stands behind the project of the Misico watch are the history of prince Mieszko and the first Polish coins that were minted during the time of his reign. It was the coins that were our inspiration during the process of designing of the watch. The first watch of the Muse collection is the Irises model. The watch is rooted in the Polish Art Nouveau and genius of impressario Wyspianski. We encourage you to draw from the Polish nature and traditions and to share with us the passion for the traditional horology. The watch was created in order to commemorate the 200th anniversary of the death of the Polish national hero – Thaddeus Kosciuszko. A new collection that draws its inspiration from the Polish history and culture. The Misico model, which is the first watch from the collection, refers to the covered in mystery prince Mieszko – the first ruler of Poland. On its dial you can notice the depiction of denar, which is believed to be the first Polish coin. The appearance of denar had huge influence on the Polpora’s logo, which is composed of a cross and small circles set between its arms. That is why the Misico model is exceptionally close to our hearts. 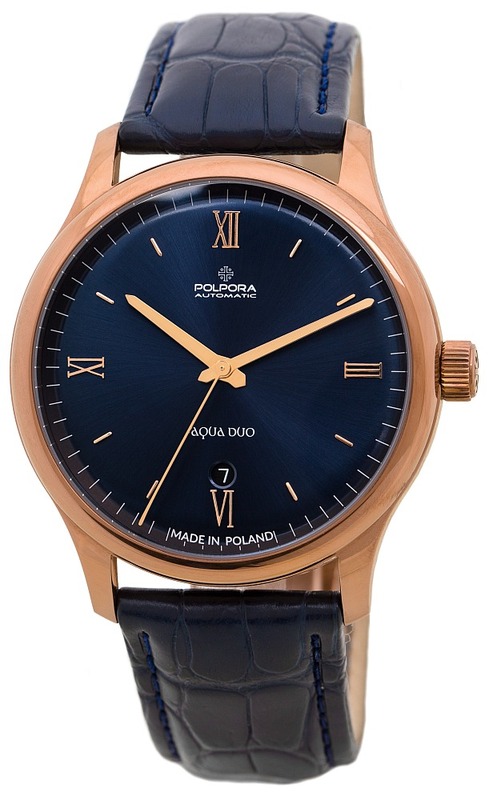 The Aqua Duo model is the comeback of one of the most appreciated and valued products of Polpora – the Aqua model. The new design binds the elements together – it combines the modern trends with traditional materials and high-end straps made of crocodile leather. The harmonious combination of the rose gold and blue dial gives the whole design its very own character. The design of the watch was inspired by the body of work of Stanisław Wyspianski – a Polish Art Nouveau artist whose style is characterized by linear smoothness that is noticeable in his paintings and stained-glass works. Both the whole design of the watch and the heart of the watch itself – silver dial hidden under sapphire crystal glass – are the reference to that particular quality of Wyspianski’s works. 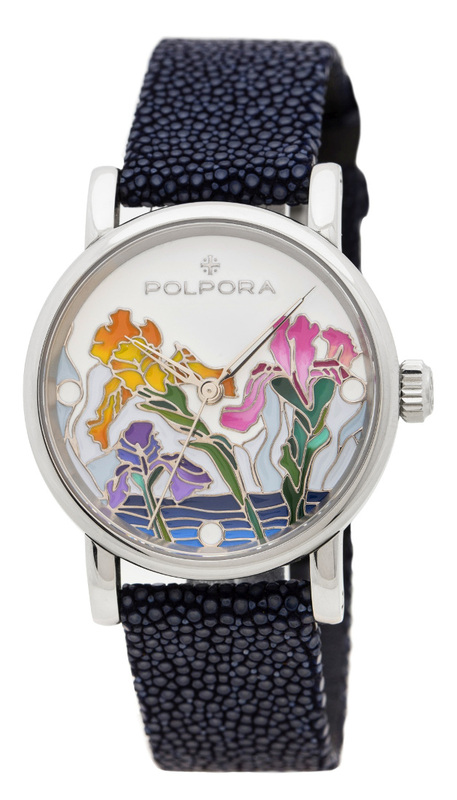 That is why this particular watch for women is an actual piece of art of small format with hand-made dial created using the enamel technique. The technique requires remarkable horologic precision – each colour is added separately and solidified in traditional process of reverberation in furnace. Every step of the process is repeated time and time again until the watch gets its unique character.